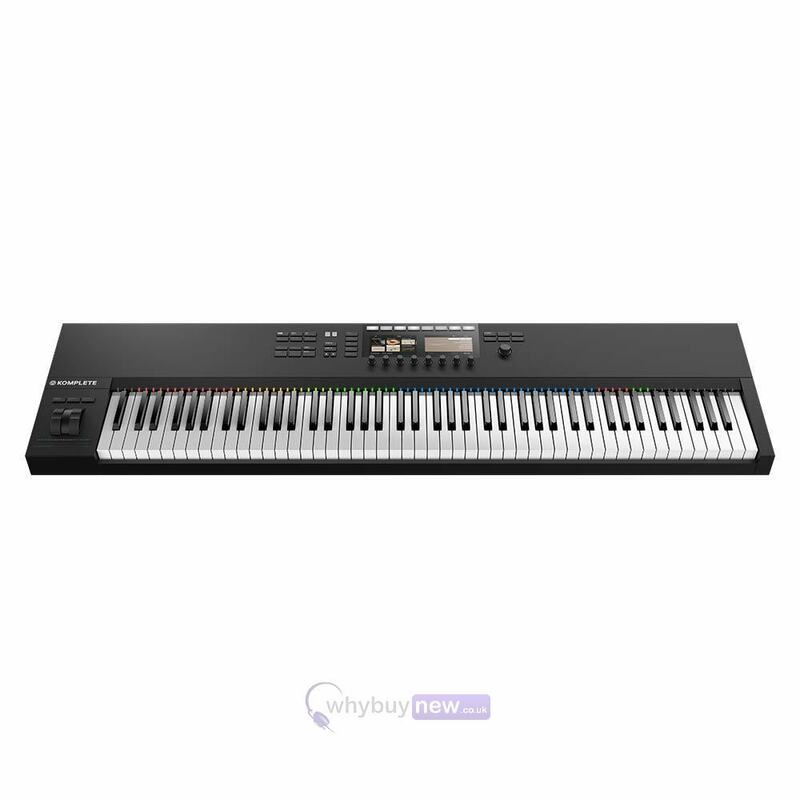 The Native Instruments Komplete Kontrol S88 MK2 is the 88 key version of the latest Kontrol S-Series MIDI keyboards. 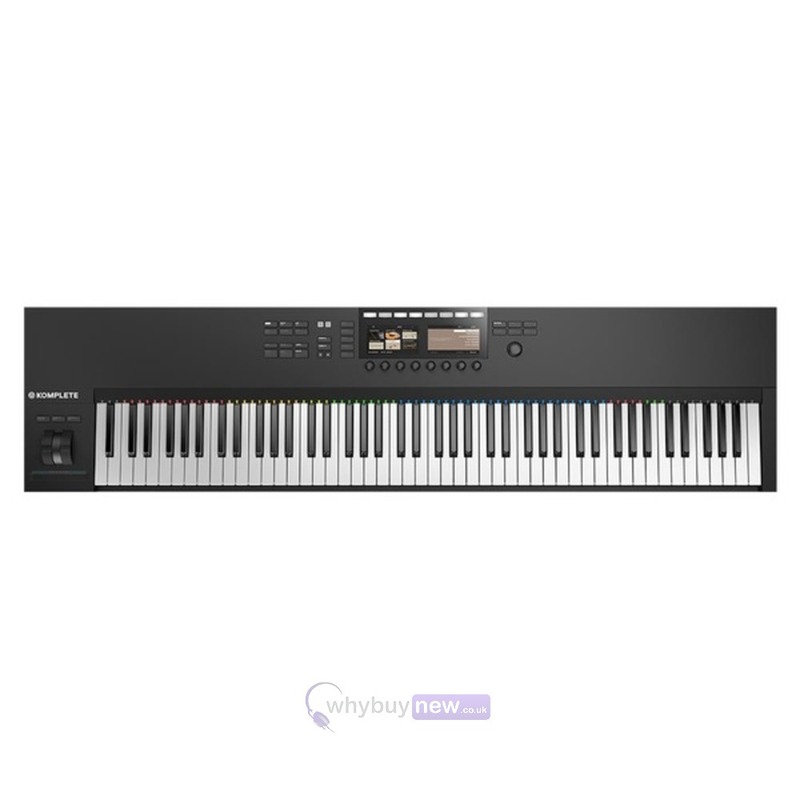 The Komplete Kontrol S88 is different to the S49 and S61 in that it has fully weighted, hammer action keys compared to the semi-weighted keys the smaller version have. This means that key touch and feel are much more realistic and feel much more like a real piano. 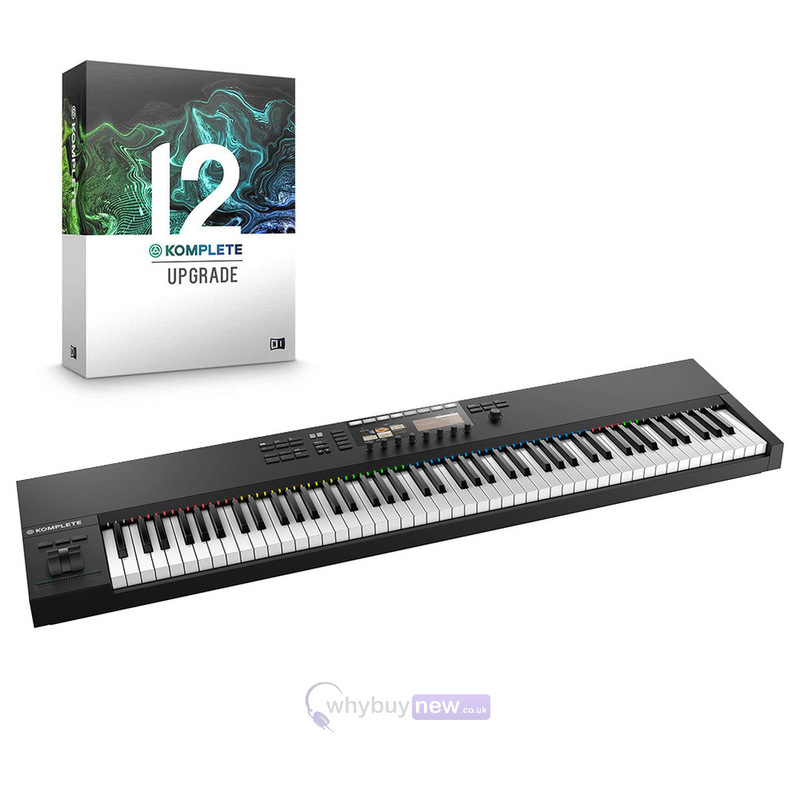 The Native Instruments Komplete Kontrol S88 comes with a range of incredible software including Komplete 12 select that includes sounds such as Massive (virtual analog synthesizer) and The Gentleman (classic upright piano). The new KOMPLETE KONTROL S88 builds upon the acclaimed playability of its predecessor, adding more immersive visual feedback and deeper control for expanded creative possibilities. The fully-weighted, hammer-action Fatar keybed gives an authentic piano-feel, whilst the hi-res colour screens and Light Guide provide at-a-glance visual guidance. With pre-mapped control of all KOMPLETE Instruments and Effects and hundreds of NKS plug-ins, intuitive DAW integration, and full VST compatibility, the S88 is the ideal centrepiece for any studio or stage setup. 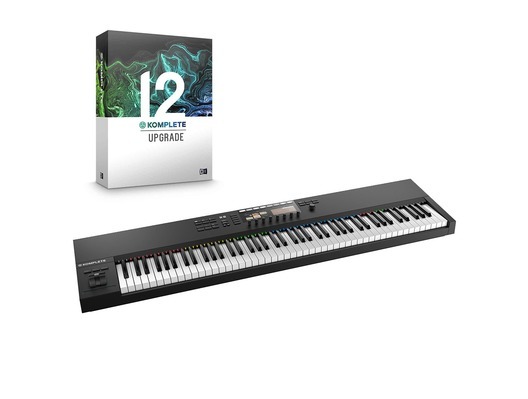 All S-Series keyboards now include KOMPLETE 12 SELECT and MASCHINE Essentials software. With KOMPLETE KONTROL, music-making becomes a more intuitive, hands-on experience. Perform expressively, browse and preview sounds, tweak parameters, sketch your ideas, then navigate and mix your project - all from one fully integrated centrepiece for studio and stage. Dimensions: 1390 x 346 x 115mm / 54.7" x 13.6" x 4.5"